I love coming to Tokyo. I can spend all my time ogling the mind-bending fashion, drooling over speed-of-sound technology, and contemplating the duality of its ancient and modern architecture. May I have the ocean with that octopus please? 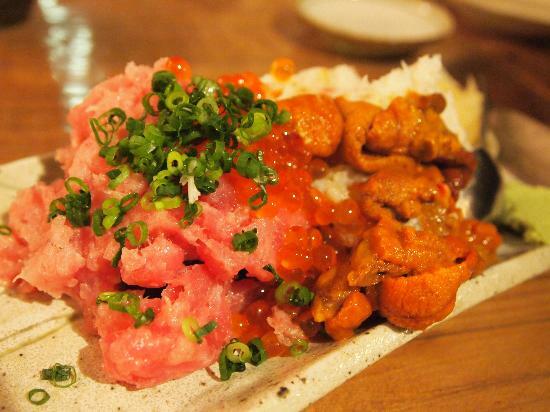 Uoshin – There are 5 branches situated throughout Tokyo, but the Nogizaka (Roppongi) branch is the most popular. It used to be a 1950‘s era Coca-Cola shop; all the furniture and embellishments remained. You can actually consume a fair amount of sushi and sashimi without breaking the bank. Fresh fish is sent from Tsukiji seafood market everyday. For dinner it’s about 5,000 yen ($50) per person, but it’s a decent price with all the appetizers and drinks that come with your order. Daiwa Sushi – You cannot pass up a sushi/sashimi breakfast in Tokyo. 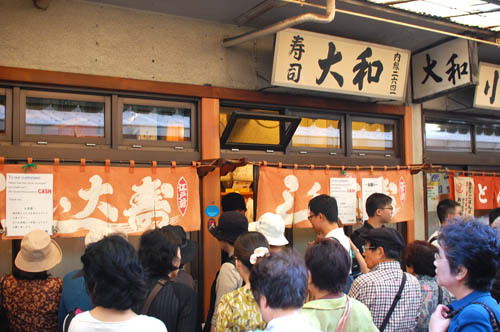 This tiny shop is located at the Tsukiji Market, and is known for taste bud-altering, umami-reaching experiences. 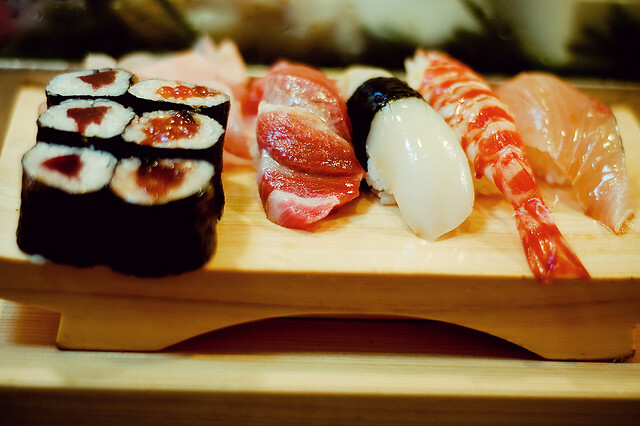 The Omakase (chef’s choice) depends on the catch of the day, and runs about 3,500 yen ($35). The food takes almost no effort on your part to eat; it literally melts in your mouth. Visitors leave wondering how they will ever go back home, eating food that will never quite measure up to this new found moment of zen. You better be slurping, or else. 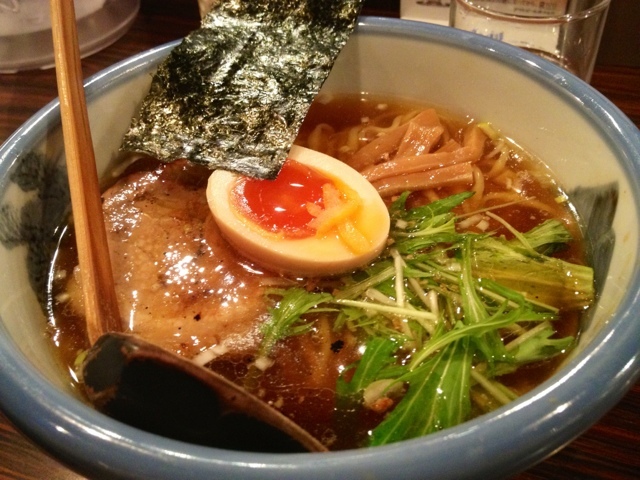 Jangara Ramen – This tourist-friendly ramen shop in Harajuku is known for their delicious tonkotsu (pork bone) based broth. The pork bones are slowly cooked for several hours, creating a super tasty rich milky broth. 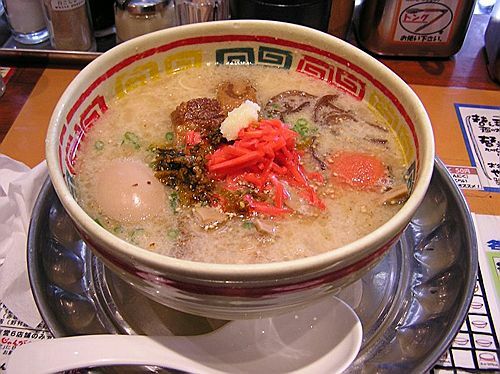 For 1,000 yen ($10) you can order a large bowl of ramen that comes with slices of braised and stewed pork, boiled egg, bamboo shoots and a vast array of available toppings. 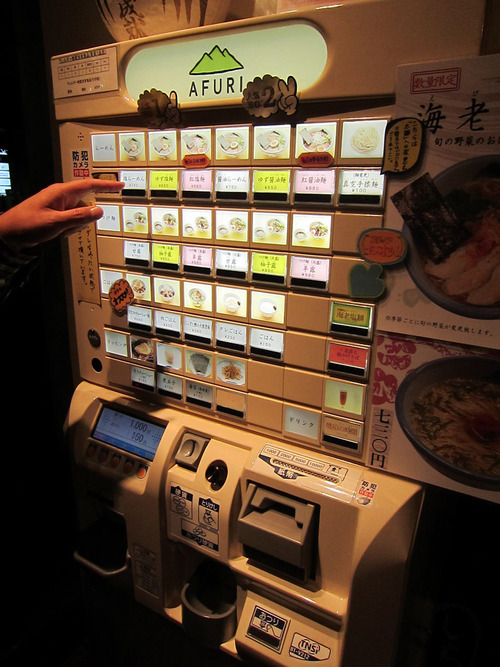 Afuri Ramen – Like many other ramen joints in Tokyo, this spot in Ebisu is a quick slurp-slurp-slurp at the counter. Although you’re inhaling it, you’re bound to thoroughly enjoy it too. What sets this place apart is the clear chicken and fish broth brightened by citrusy yuzu. It is very light, but don’t be fooled; although lacking in fat and not as heavy as tonkotsu, it simply bursts with flavor. Don’t get too involved in your tempura. Gogo Yubari and Hattori Hanzo might be coming after you with a samurai sword. 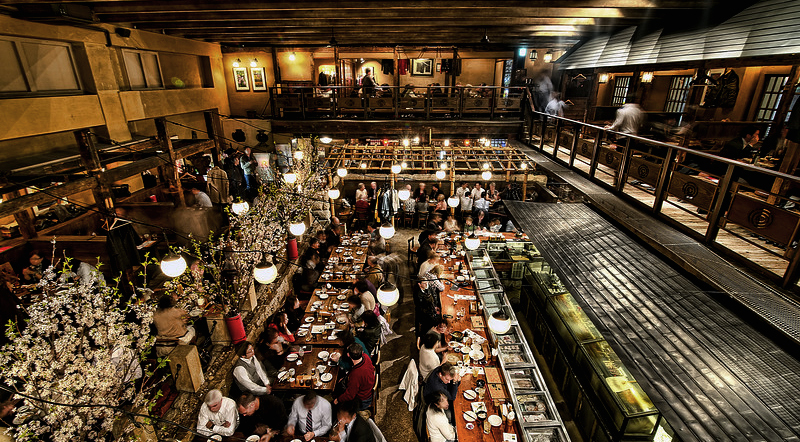 Gompachi – This head-turning izakaya-style restaurant was the inspiration for the Crazy-88 scene in the movie Kill Bill. 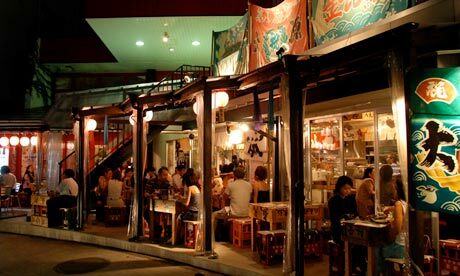 Think Japanese Robata (meat and vegetables on a stick cooked over charcoal) with a Western influence. Try the specialty dishes like seared foie gras with balsamic strawberries and miso-glazed cod. 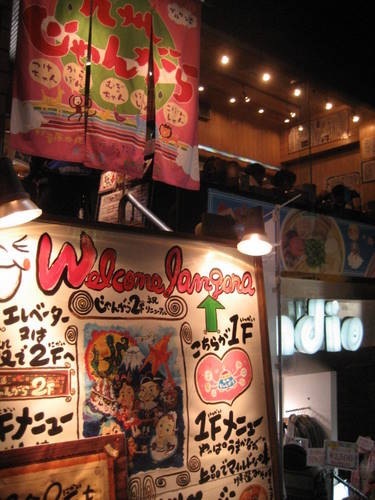 Making a reservation beforehand is probably a good idea since this place is insanely popular with expats and first-time tourists. 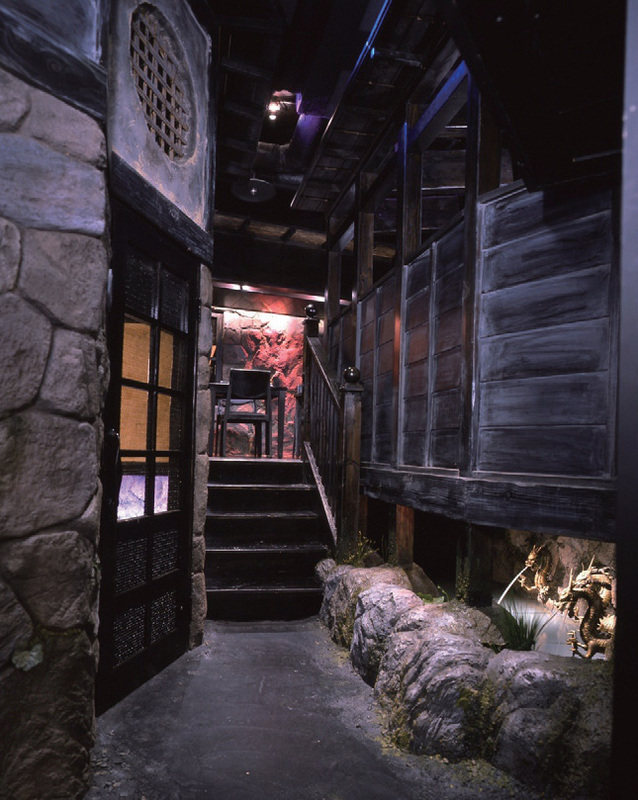 Ninja Akasaka – This is a fun, Disney-esque themed spot. 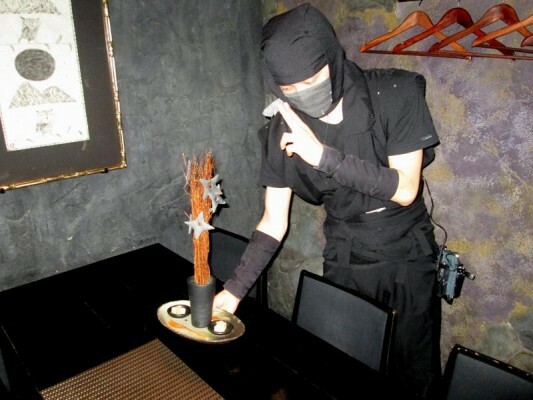 You’re led through a secret ninja lair setup before arriving at the private tables. Ninja servers bear trays of surprisingly inventive and delicious food. Magicians grace your table hoping to mesmerize with their slight of hand. A bit on the expensive side, but worth it for a night of cool, campy diversion. This entry was tagged Coca-Cola, fresh fish, gompachi, Harajuku, Japan, ninja asakasa, Ramen, Roppongi, sushi, Tokyo, tokyo restaurants, Tsukiji, Tsukiji fish market. Bookmark the permalink.